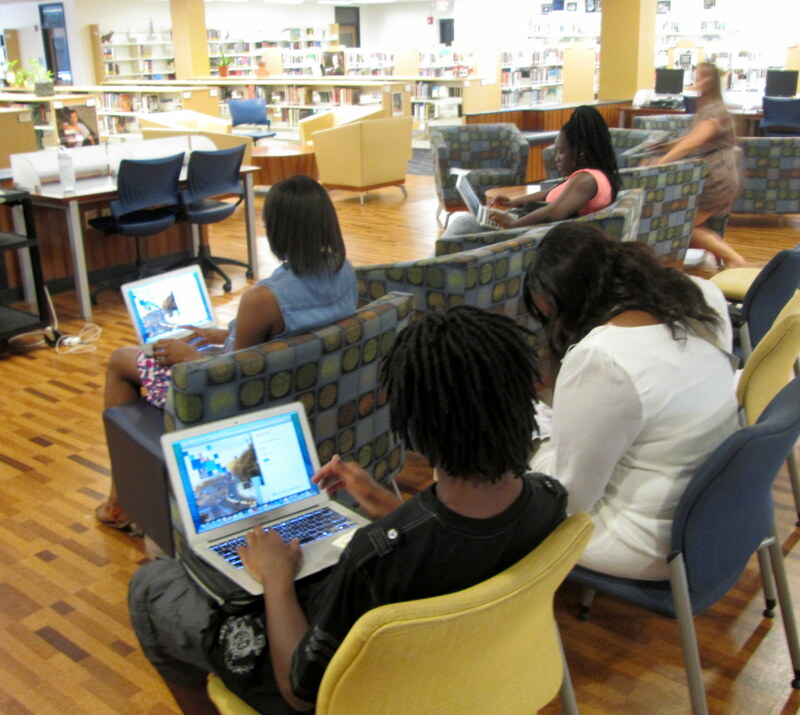 From August 20th-22nd, the library staff assisted with the MacBook Air rollout for the 10-12 students. While Mrs. Webb handed out protective bags next door, Mrs. Myers and Layne worked with classes (two every period!) to remind students how to log into the MacAir and to make sure students could get into the email app.